No longer content with separating the plants they grow to eat and the plants they grow for beauty, gardeners are discovering the pleasures of incorporating both edibles and ornamentals into their home landscapes. The Kitchen Gardener's Handbook makes it easy. Whether she's sharing tips on planting radishes in spring, harvesting tomatoes in summer, or pruning perennials in winter, Bartley's friendly advice gives gardeners the tools they need to build and maintain a kitchen garden. Readers will learn how to plant, grow, and harvest the best vegetables, fruits, greens, and herbs for every season. They'll also find seasonal recipes that celebrate the best of the harvest, monthly garden chores, eight sample garden designs, and information on using cut flowers for decoration. 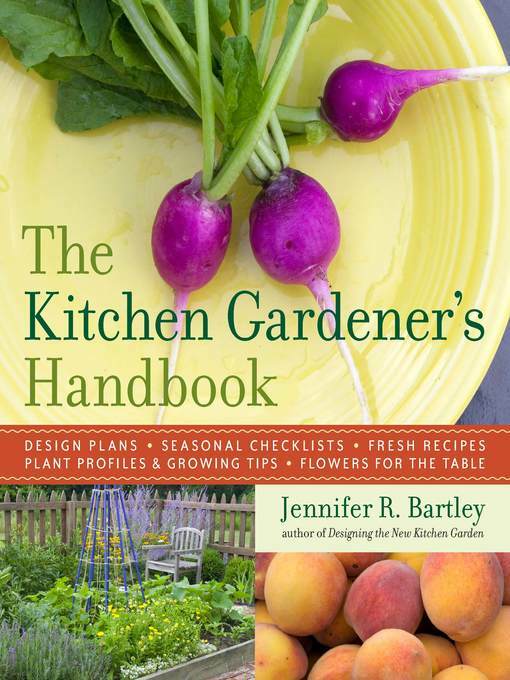 The Kitchen Gardener's Handbook is a guide for gardeners who want it all—the freshness of fruits and vegetables and the beauty and simplicity of hand-picked bouquets.